You GUYS!!!!! This week's Simon Says Stamp Wednesday Challenge couldn't be more perfect! It's a FURRY FRIENDS challenge! If you saw my post yesterday, you know that I have a brand new furry friend in my house. And because of that sweet little girl, I don't think my Butter Pecan Ice Cream flavored Coffee is going to be enough this morning, BUT, that's okay. Because she is great. And learning. And I love her to pieces. We are featuring Newton's Nook Design Stamps today. If you like animals, Newton's Nook is a GREAT company to check out! They have non-animal stamps, too, but LOTS of cute animals! I love them! 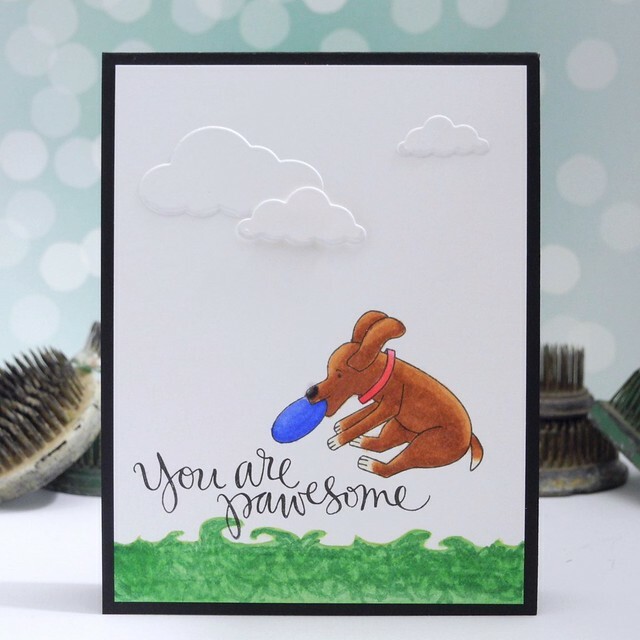 I used the super fun Beach Party stamp set for my card along with the Simon Says Stamp You Are Pawsome stamp set. The grass is actually the waves stamp from the beach set! I just colored it green and added visual texture to make it look like grass instead of water. I colored the images with Spectrum Noir pens. The clouds are cut with the Memory Box Puffy Cloud dies and accented just slightly with a grey Copic marker before adding with foam tape. And now it's YOUR turn! Create something fabulous inspired by the Furry Friends theme and link it up over on the Simon Says Stamp Wednesday Challenge blog for your chance to win a $50 Gift Voucher to the Simon Says Stamp Store! Seriously. That is a GOOD deal. For reals. Well, girl, looks like you and I are holding down the fort for dog lovers here! Darling card, and I've been enjoying seeing pics of your new little pup on IG - keep 'em coming! I love labs! This is adorable, Jennifer! Congrats on your new family member, Morgan. She is precious! We have a 5-year old chocolate lab named Gingersnap and she is a joy. Indeed! This card makes me think of your Morgan! How FUN! The mid-cir catch is darling! 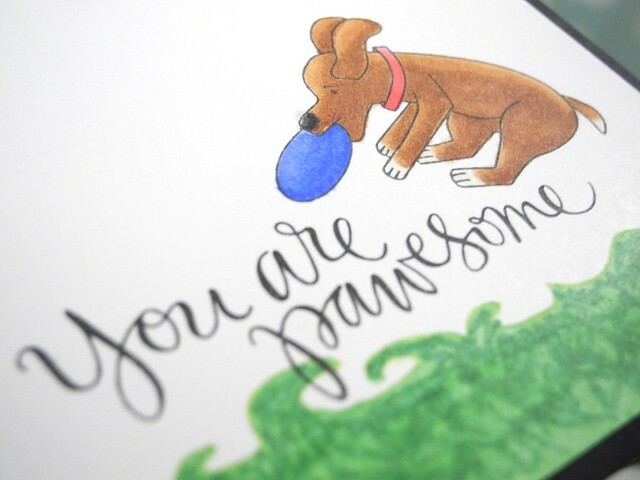 A fabulous card Jenniger, I love your scene and such a cute pup with her Frisbee!! Gorgeous card! I love the scene you've created and the image is adorable. 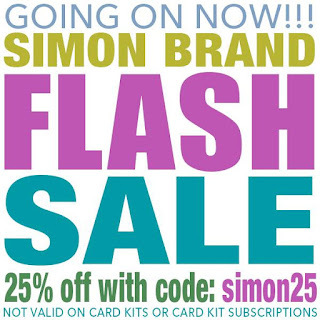 Is it just me or are the Simon links in the post not working? It clicks but won't go to SSS. Also, this is actually the most beautiful dog I've ever seen! Super cute, fun and COOL!! Pretty background! ohmygoodness that is sooooooooooo cute! Adorable card Jennifer!! Such a sweet pup!! This is so adorable! ALMOST as cute as your new puppy! I love the simplicity of the layout and the way you used the "wave" to make a grass edge! Super fun!! So cute Jenn, I bet your house is a bit different with that new pup bounding around, lol! !